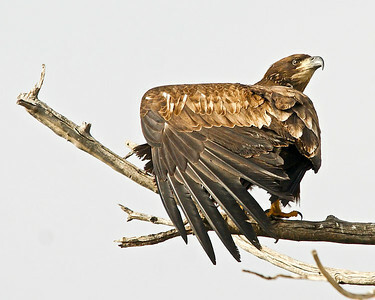 Immature Bald Eagle. 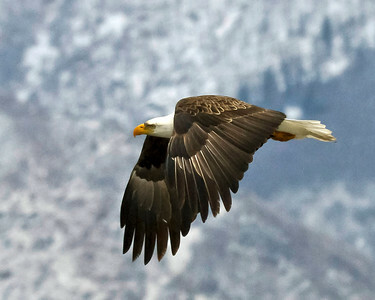 Bald Eagles don't get their white head until they 5 years old. 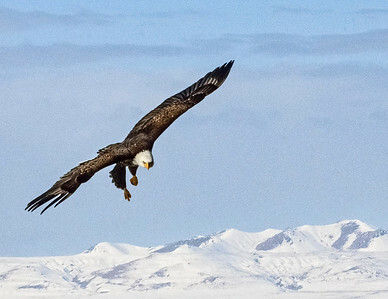 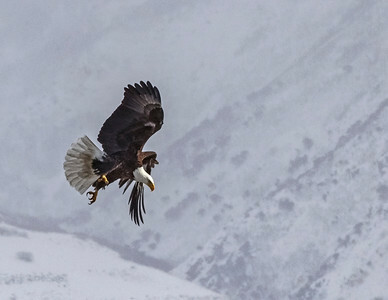 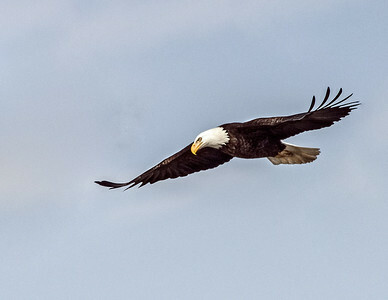 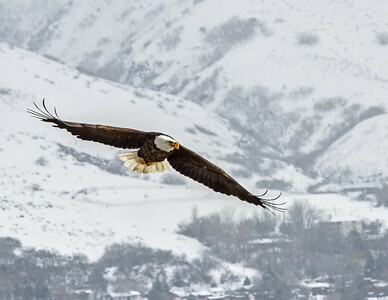 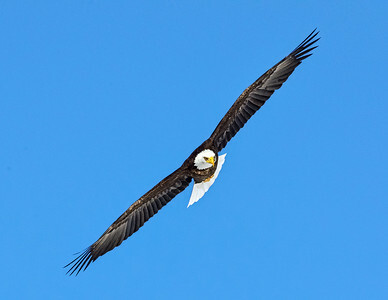 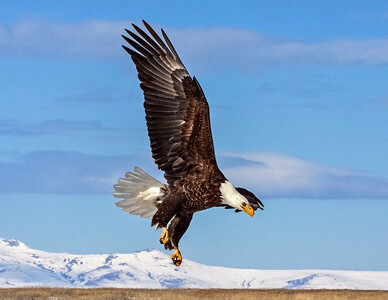 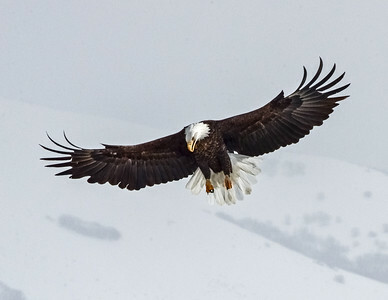 The essence of an Eagle, Bald Eagle . 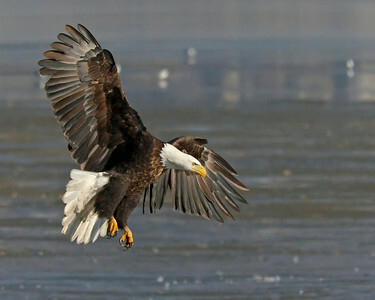 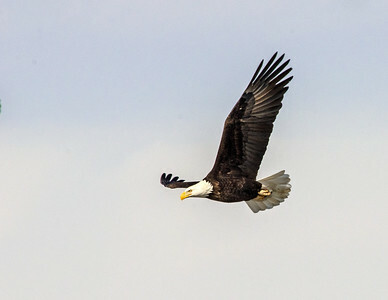 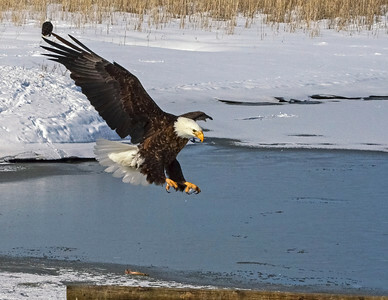 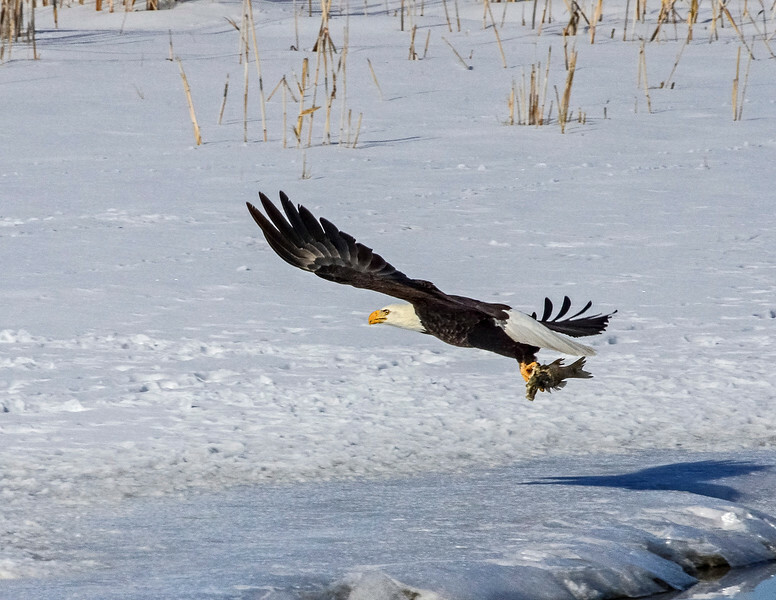 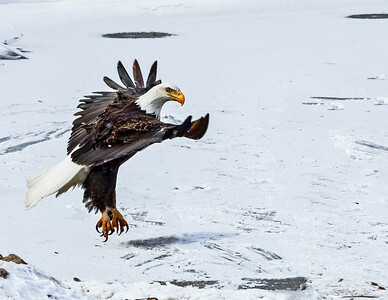 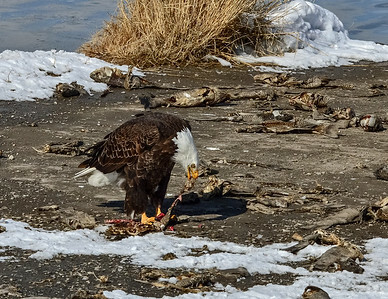 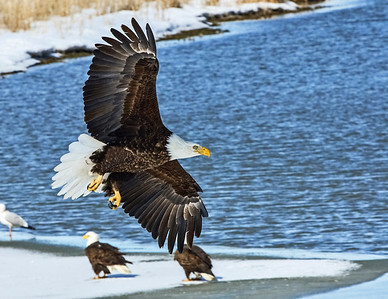 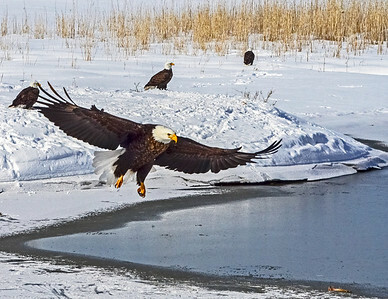 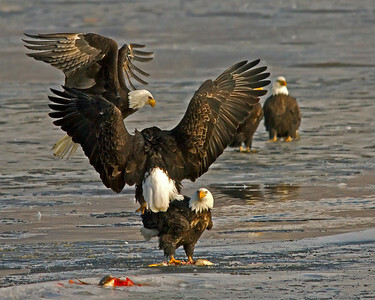 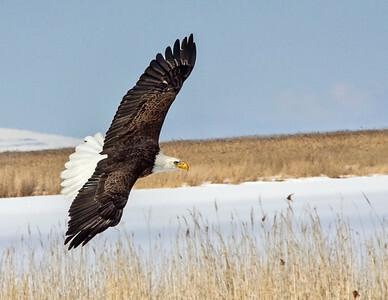 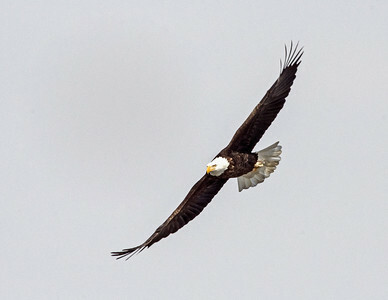 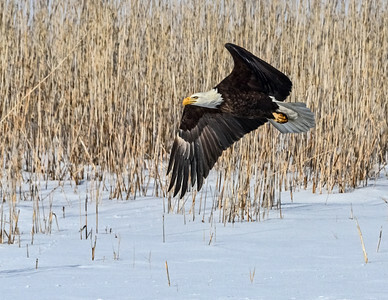 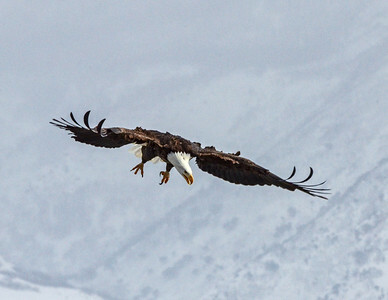 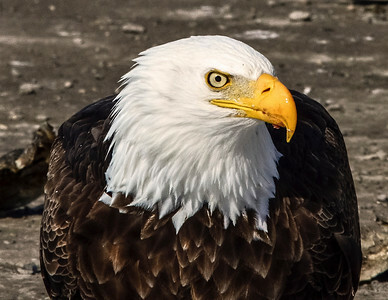 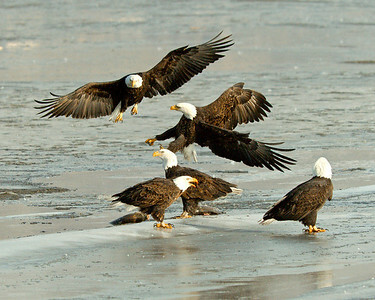 Bald Eagles are fish-eaters. 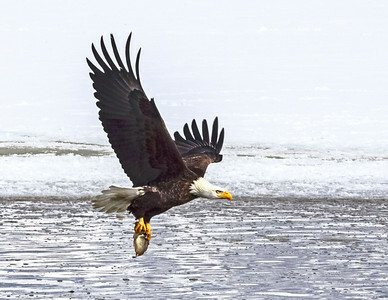 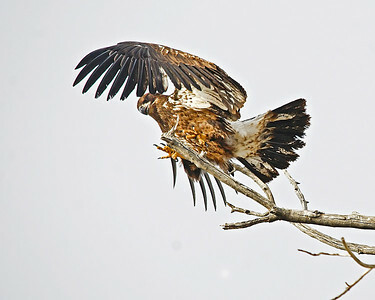 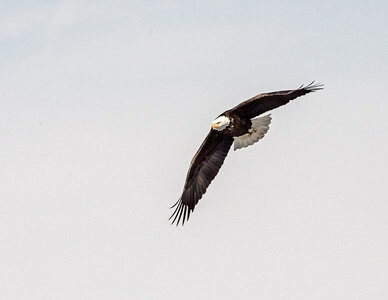 Very adapt at catching their own fish but would rather steal from another Bald Eagle or Osprey. 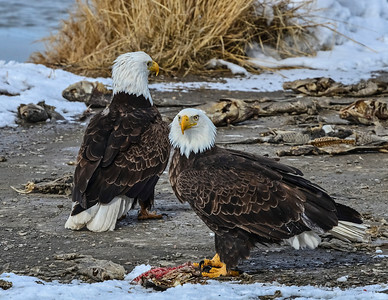 Oh my, I stole part of a fish.